Fake relationships never felt so real. My best friend since high school. Now the frontman for the hottest band on the planet. And he’s always been there for me no matter what. But nothing about his kisses feels fake, blurring the line between make believe and reality until it disappears. When he starts talking about forever, it feels so right. My ex isn’t deterred, though, and he’ll do anything to get what he wants. Now I’m faced with an impossible decision. What do I choose when I end up destroyed either way? I know better than to start a Jerica MacMillan novel before bedtime. I devoured Anything You Need into the night. I loved this story and the characters were so intense and emotionally gripping. I couldn’t put this book down and I wanted more. Highly Recommended!! 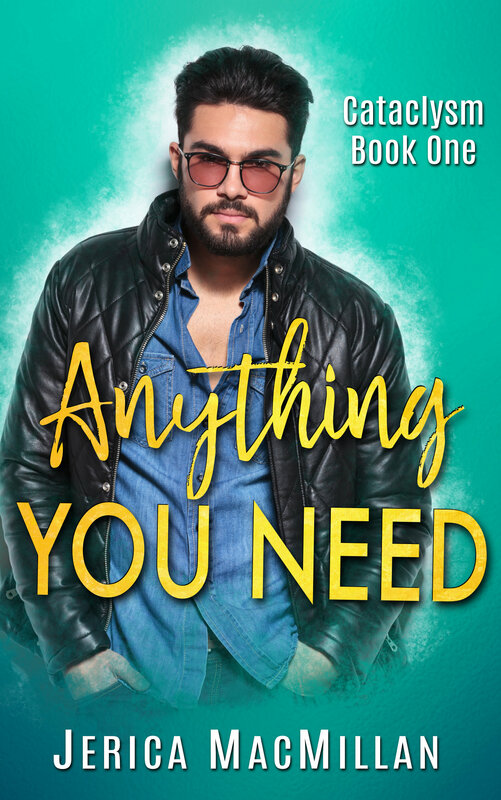 Anything You Need was great, it had the right amount of angst and you fell in love with Marcus and Kendra the minute you started reading his book.